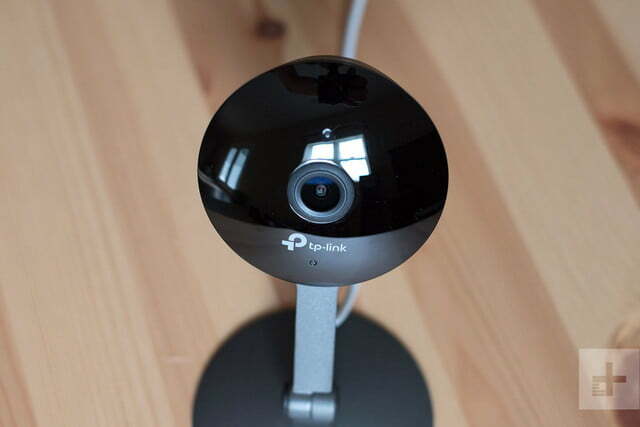 TP-Link’s first smart home camera is a great nanny cam and decent indoor security solution. The home security sector has changed dramatically in the past couple of years thanks to the rapid increase in the number of smart cameras hitting the market. 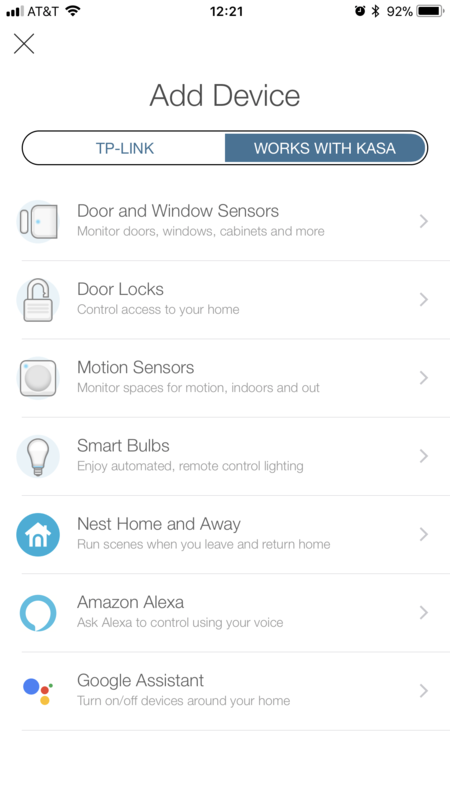 This coincides with increased adoption of smart home hubs like the Amazon Echo, not to mention wider availability of Internet of Things gadgets, in general, from thermostats to smart locks. TP-Link has been making smart home devices for some time, but the Kasa Cam KC120 is its first camera (the company had a networked security camera, but it lacked the connected features of today’s smart models). 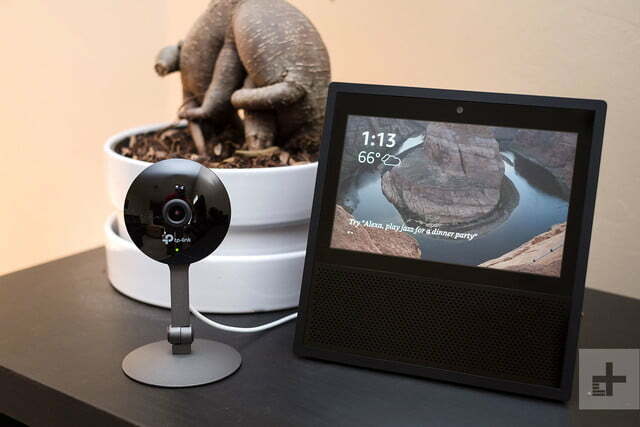 As a home security camera, it leaves much to be desired, but as a general room monitoring and communication device, it has two key features: a $129 price and Amazon Echo Show support. In our TP-Link Kasa Cam review, we’ll see if that’s enough to give this smart home camera an edge. The Kasa Cam fits a 1080p image sensor, 130-degree glass lens, infrared night vision, speaker, and microphone into a sleek black housing about the size and shape of hockey puck. It rests elegantly atop a weighty, metal stand. Optionally, you can mount it to a wall using the included hardware, and the camera can freely rotate within the stand to keep the image upright. 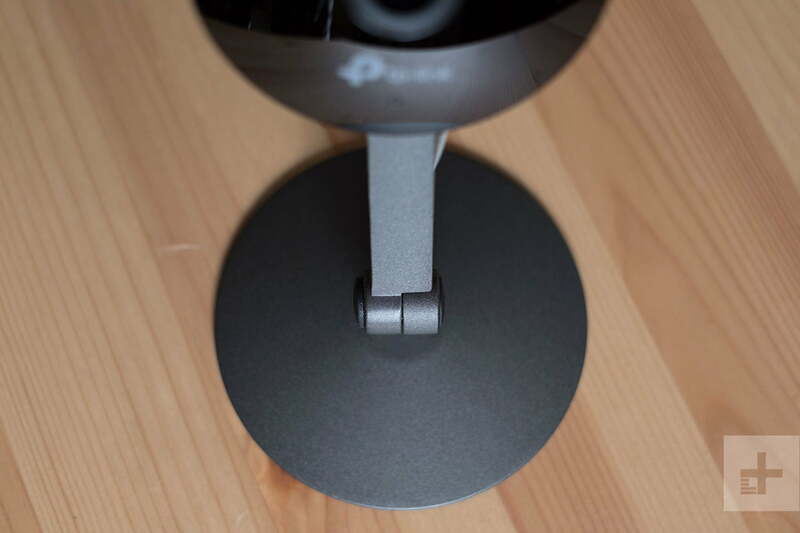 A single USB port is the only point of connection on the Kasa Cam. A 10-foot USB cable and wall plug adapter are included. The camera does not have a battery, but as we discovered, plugging it into a USB battery brick will power it. However, as it is not weatherproof and is meant for indoor use only, there probably isn’t much reason to do this. 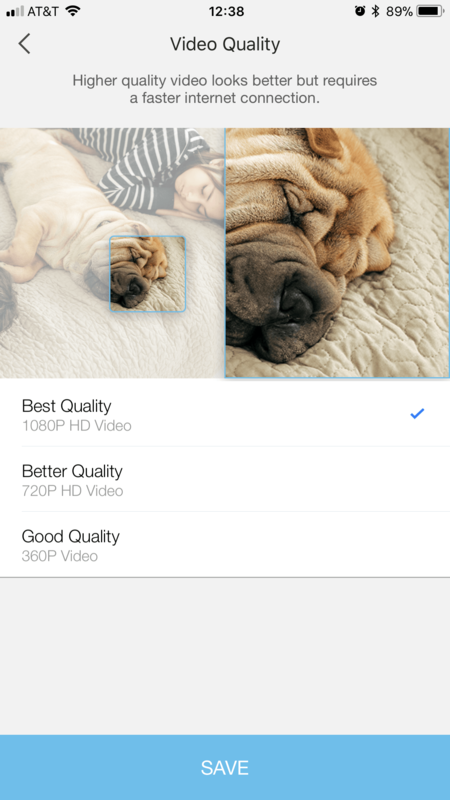 Users have three options for video settings: 1080p, 720p, or 360p, so you can pick the quality that works best with your internet connection speed. While TP-Link touts the Full HD image quality of this camera, we found that dropping down to 720p didn’t make much of a difference, at least not when viewed on a phone. 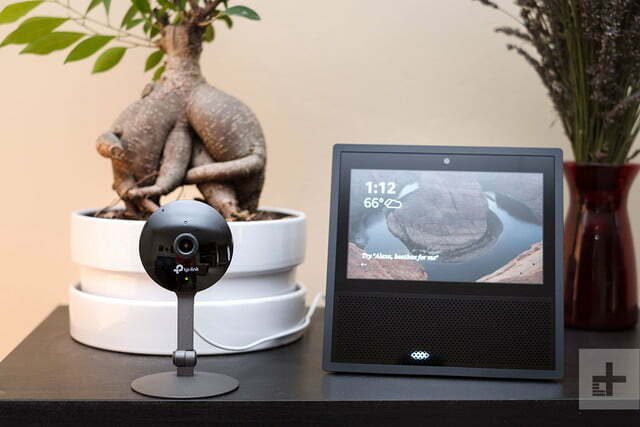 Just say, “Alexa, show me the living room camera,” and a live feed will appear on the Echo Show’s screen. Image quality suffers somewhat from excessive sharpening, which makes objects “pop” but puts an artificial outline around everything. When it comes to image processing, we prefer a softer touch and a more natural look, but at the end of the day, this type of camera isn’t about producing high-quality video. As a communication device, it functions more than adequately. The camera has no onboard storage, neither internal nor removable. Instead, as is increasingly common with smart home cameras, all footage is saved to the cloud using industry-standard encryption. We always appreciate the option of onboard storage, but TP-Link’s cloud plans are decent: You get two days (1GB) of backup included for free; two weeks costs just $5 per month or $50 per year; and 30 days costs $10 per month or $100 per year. Additional cameras can be added at half those rates. We were also pleased to see that lag is kept to a minimum. When you bring up the live feed in the TP-Link Kasa app, the image is first transmitted to the cloud before being sent back to your phone (it’s not a direct Wi-Fi connection between your phone and camera). In our testing, lag was only about 1 second. This isn’t generally a concern for this type of camera, but lower lag does lead to a better communication experience when using two-way audio. We also found that downloading clips from the cloud to a phone was surprisingly fast. The Kasa Cam’s big selling point is support for the Amazon Echo Show, the touchscreen-equipped personal assistant that launched earlier this year. 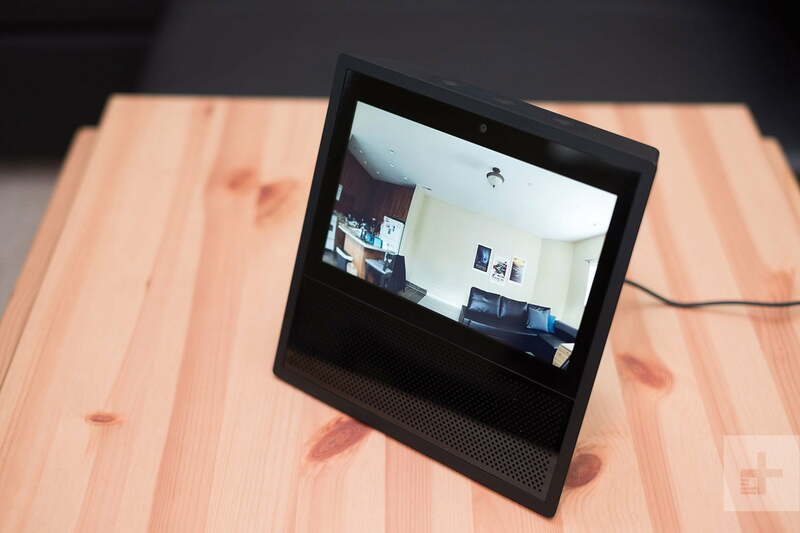 With it, you can say, “Alexa, show me the living room camera,” and a live feed will appear on the Echo Show’s 7-inch screen. Multiple cameras can be added, provided each has a unique name. 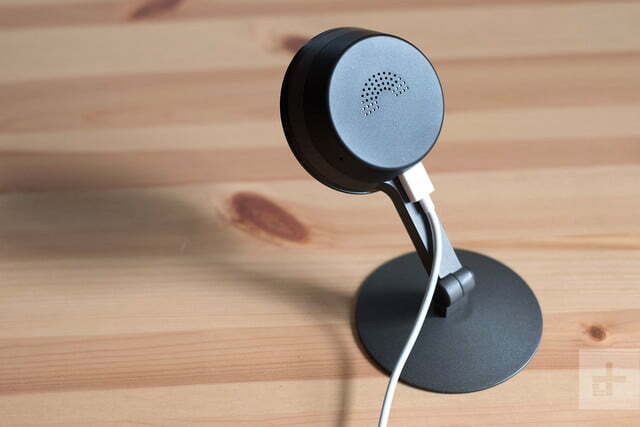 This gives users a hands-free way to check in on their kids from another room, for example. There also aren’t any other commands you can give the Kasa Cam through the Echo Show. For instance, you can’t turn it off or on, set notifications, or, well, anything else. This, too, is not TP-Link’s fault, as these limitations are simply within the current Echo Show Skills API and are shared by other smart cameras. Fortunately, the Kasa Cam does not require an Echo Show (or any other hub) to function. 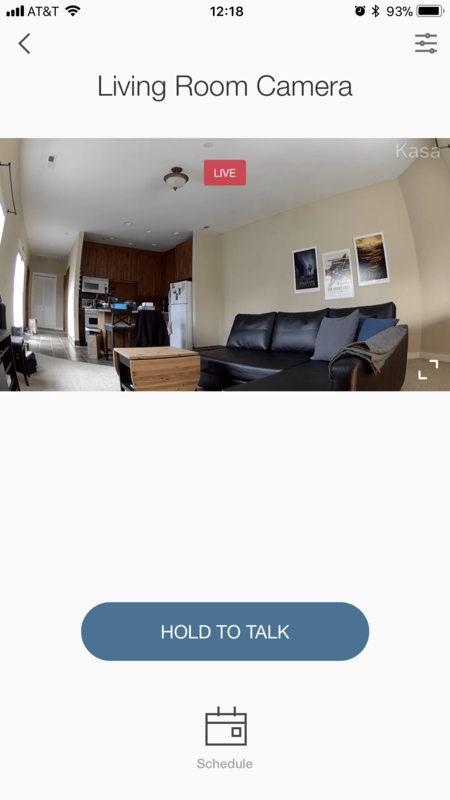 It works just fine as a standalone camera with the Kasa mobile app (iOS or Android), where turning on the camera or toggling notifications is pretty easy. Also, unlike adding a device to the Echo Show, setting up the Kasa Cam within the Kasa app is a breeze. 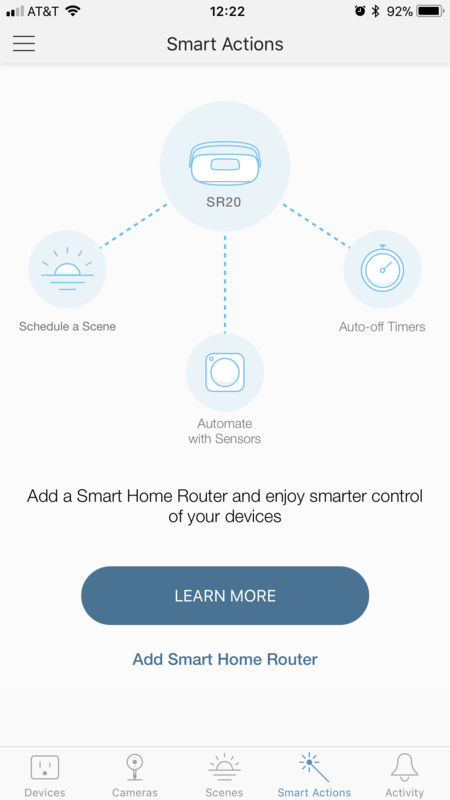 You will need to disconnect from your home Wi-Fi and establish a direct connection to the camera temporarily, but other than that the process is pretty effortless. Once the camera is connected, the app automatically checks for the latest firmware and installs any available updates. In our testing, it only took about a minute for new firmware to be installed. The Kasa Cam has a healthy serving of security-focused features onboard, including motion and sound triggers, infrared night vision with a 25-foot range, and customizable activity zones that let you set active areas of the frame for motion detection. It also has a powerful scheduling tool that lets you set multiple times to turn the camera on or off, which can each be individually set to repeat on certain days. This way, you can run a different schedule on weekdays from the weekend, telling the camera to only turn on when, say, you’re sleeping or at times you know you will be away. As a security camera, the Kasa Cam is decent, but could benefit from geofencing. Unfortunately, as of the time of this review, the Kasa Cam does not offer geofencing. Geofencing allows a camera to automatically turn on when you leave home, based on your phone’s location data, and turn off again when you return. It’s a feature we’ve found quite useful on other smart cameras, such as the Canary Flex. This means if you leave your house during a time you haven’t scheduled the camera to turn on, you have to remember to open the app and turn it on manually. If you’d rather leave the camera on all the time, you can certainly do that — but you’ll be inundated with alerts anytime something moves or makes a sound. 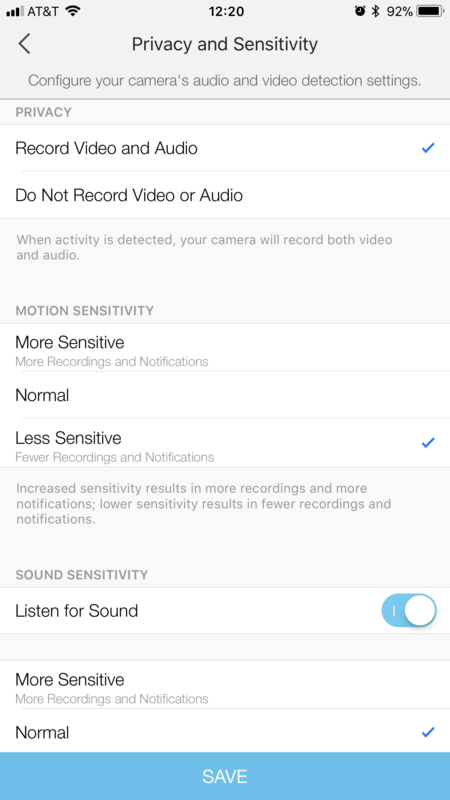 Both motion and sound triggers have three levels of sensitivity to choose from, so you can limit the number of notifications you’ll receive, somewhat. In our testing, even with sensitivity turned all the way down, a truck could drive by outside and trigger a sound alert. Notifications can be turned off from within the app, but just don’t forget to turn them on again. Also, as an indoor-only, wired camera, the Kasa Cam has a limited ability to guard the outside of your home. Sure, you can face it out a window, but diehard home security DIY-ers will need more. 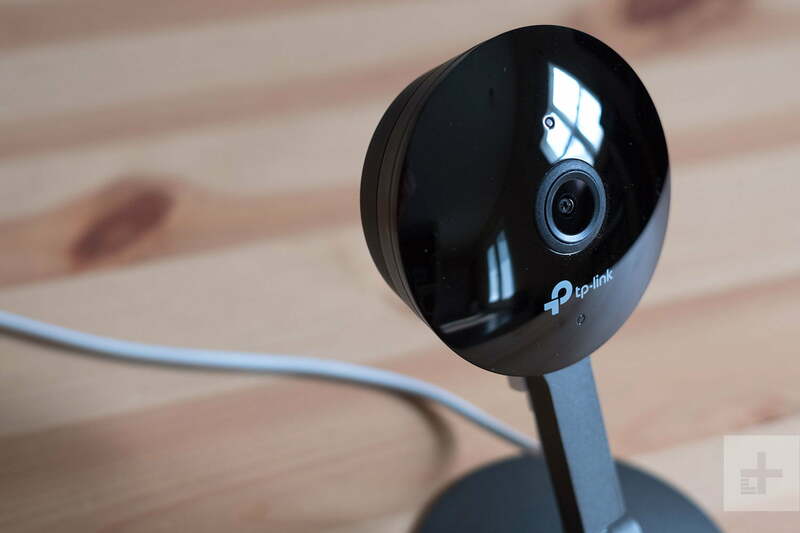 TP-Link offers a two-year warranty on the Kasa Cam. 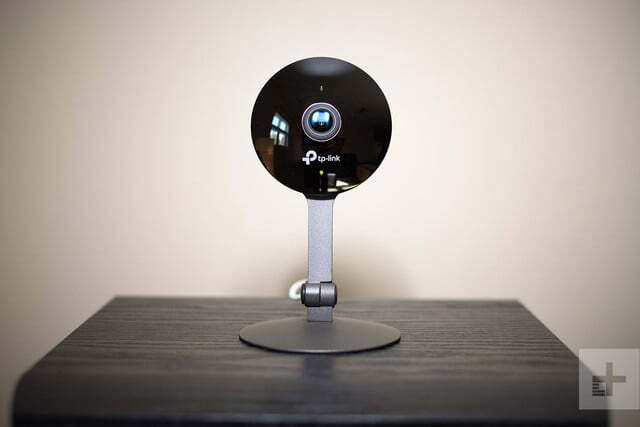 The TP-Link Kasa Cam KC-120 gets a lot of things right, from a simple setup procedure to solid performance. We particularly liked the flexible activity zones and fast downloads, and the scheduler was straightforward but powerful. However, it falls short of being a true security camera due to the lack of geofencing to automatically turn the camera on when you leave home. TP-Link told Digital Trends that other features are in the works, although has not confirmed if geofencing is a possibility. For now, it’s an excellent nanny cam or pet cam, particularly if you have an Amazon Echo Show. And while it’s not a perfect home security camera, it certainly packs in a lot of features for the price. 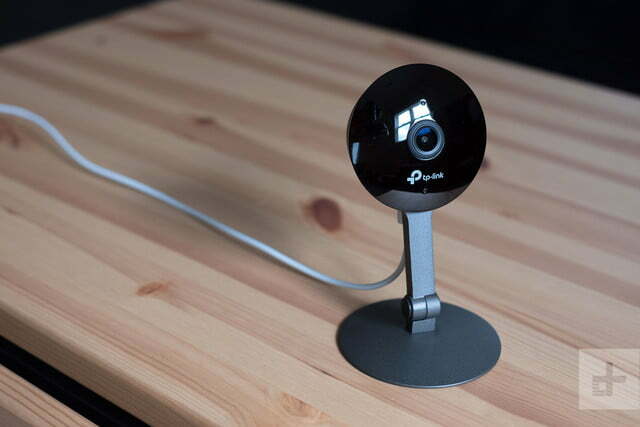 As a nanny cam or basic room monitor, the Kasa Cam is a solid choice and comes at a fair price. As a security camera, however, it lacks key functionality found on higher-end devices. We’d encourage customers to spend a bit more for something like the Canary Flex, which is $199 but is weatherproof, includes a two-month battery, and offers automatic mode switching based on your location. Or, if Echo Show compatibility is a must, you might want to check out the Netgear Arlo family of cameras. The Kasa Cam feels sturdily built, and given that it probably won’t move once you install it, it should last for years. We are hopeful that TP-Link will keep updating it with new features over time, as the camera is coming to market slightly outclassed by some competitors (albeit more expensive ones). If you own an Amazon Echo Show and want an affordable smart camera for a baby or pet monitor, or for casual indoor monitoring, then yes. If Echo Show support isn’t important to you or you need a more full-featured security solution, than we recommend looking elsewhere. But for the price and what it can do, you can’t go wrong.